This film is dedicated to people who are struggling with the grips of depression and wondering if there is a way out. In Let Go and Let God she finds her release through dance. The movement stirs her soul to the point where it brings her back to life and she makes a commitment to live again, to take back her power and move forward walking in the joy that God intended her to have for her life. Let Go and Let God is short film about a woman trying to find her strength again to get back up in life. It’s very much a phoenix rising story. We come in at the height of her own personal turmoil where she is trying to make the decision between staying stuck and moving forward. There isn’t a battle with someone else - though it is implied that there is an external issue that is causing this spiritual conflict. I don’t want to highlight what the ‘problem’ is so the focus isn’t limited. For example she’s upset because she and her partner ended things. I want the issue to be neutral so it’s relatable. Everyone has had that thing in their life that has knocked them down so hard they questioned whether they should get up or just stay down. This film speaks to that confusion and eventual transformation. She is vividly struggling with grief, depression, guilt and anxiety. Something that we don’t often see Black women on film portraying. 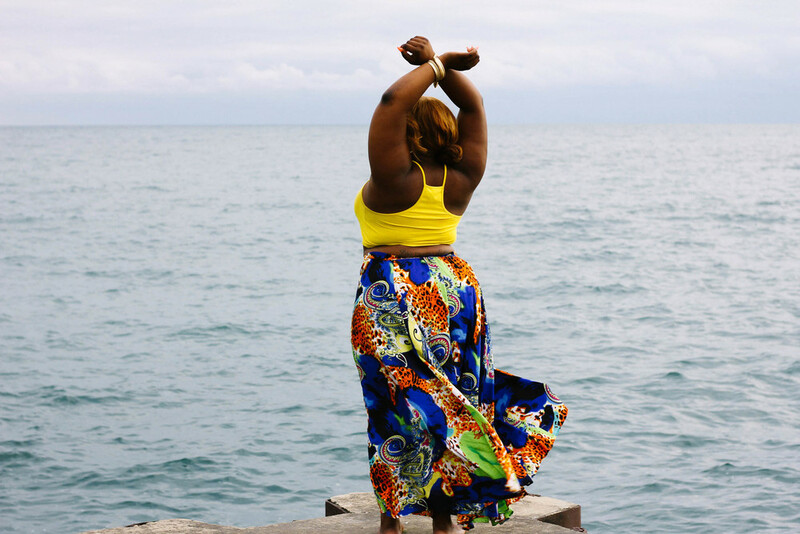 No more of the ‘strong black woman - I can make it through anything’ but how to allow ourselves to be vulnerable enough to the point where we can properly grieve. How do we allow ourselves to stop being so strong so that we can actually start the healing process and get back in control of our lives. I also want to point out that even though the film is named ‘Let Go and Let God,’ I want to be clear that this isn’t saying ‘Oh just pray and the depression will go away’. It’s about letting go of the need to control our image to the point where we would rather make ourselves sick or even die than be vulnerable enough to receive and transform. ‘Let God’ in the title refers to being open to receiving guidance, being connected to our divine self, doing all that we can to be active in our lives and letting the Spirit finally move through. After all, the lack of movement is what causes us to feel stuck or stagnant - literally allowing the stress to overwhelm us to the point that the blood vessels become clogged and the heart stops or we bring on a stroke. Movement - dance allows us to open those pathways in the body back up so we function normally and keep thriving and keep living. Viscerally opening ourselves back up to the presence of Spirit and the Divine.